I know, this seems obvious, but you would be surprised how often this is overlooked. Ask the client early on, and be sure they know you have their best interests in mind and will not release anything without allowing them to first review and approve it. Once you have the client’s go-ahead, you’re ready to get started. Email marketing is one of the most effective — and underutilized — marketing strategies available to law firms today. Why? Because you are targeting the most fertile ground for referrals: your existing clients. Note: Sending out mass emails in Outlook does not count. Not only is it ineffective, but it will get you blacklisted, and it violates the Federal Trade Commission’s CAN-SPAM rules, among other things. By periodically emailing your network of clients, partners, vendors and other connections, you’ll stay top of mind and remind them of your experience, value and litigation skills, and you’ll be the law firm they turn to when they — or someone in their network — has a need for your services. What do you email them? Choose an email marketing system. We use SharpSpring, a comprehensive marketing automation system, which includes email among other tools. However, there is a wide array of email systems you can choose from, such as MailChimp and Constant Contact. Import your contacts. Get them out of your Outlook contact files and business card stacks. Segment your lists by client type — industry, role, etc. The more segmented, the better. This means you’ll be able to send more targeted, personalized emails. For example, if you just won a case involving the agriculture industry, and you have an email list of agriculture industry contacts, you can send that email to those contacts only. Create an HTML template. Don’t overdesign it — in email marketing, less is more. Include your firm’s logo, brand colors and plenty of white space. Research demonstrates that understated, simple email design is much more effective, and often plain text can be the most effective. Flashy design can come off as salesy, especially in the legal industry. Start emailing. How often should you send emails? 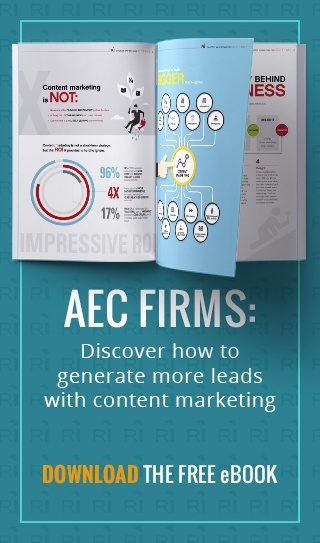 According to digital marketing consulting agency Newfangled’s research, firms who send at least three to five emails per month to their full list of at least 3,500 contacts enjoy better email performance across the board. While the case might not be Wall Street Journal-worthy, it’s likely of interest to trade publications that clients in that industry read religiously. You can then follow up with a formal press release for less time-sensitive publications, your website and social media. By respecting the two-way street with reporters and executing quickly, you create a win-win situation that launches your firm into the spotlight. In addition, consider the win for legal trades such as Law360, American Lawyer, The National Law Journal and regional legal publications. Many feature “Litigator of the Week” columns. If you are one of the few lawyers or law firms not on LinkedIn, you are missing out on the party. When you think of LinkedIn simply as a modern, interactive Rolodex, you can see its power. It is literally the world’s Rolodex. Not only can you see a person’s work history, but also the college they attended, articles or posts they’ve written what professional connections you have in common, organizations you both support, and much, much more. Use the summary that you wrote for your press release and share an update about the win. The key with LinkedIn is to ensure that the individual lawyers throughout the law firm share the update from their own LinkedIn profiles. LinkedIn is a peer-to-peer networking tool, and individual lawyers’ networks are a goldmine. 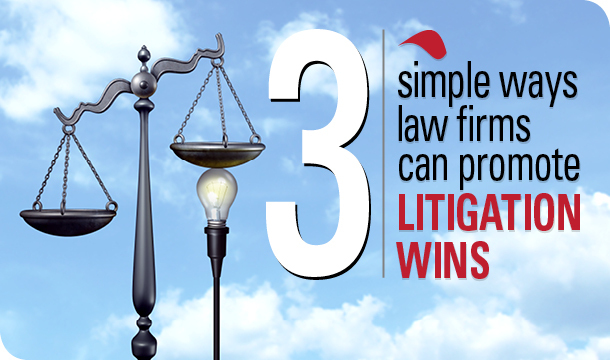 By sharing a link to the press release about the win, lawyers will keep the firm top of mind with their networks and educate their connections about the firm’s work. You can first share the update to the firm’s LinkedIn Company page, then encourage the lawyers to share that update to their networks. It’s as easy as clicking the share button.